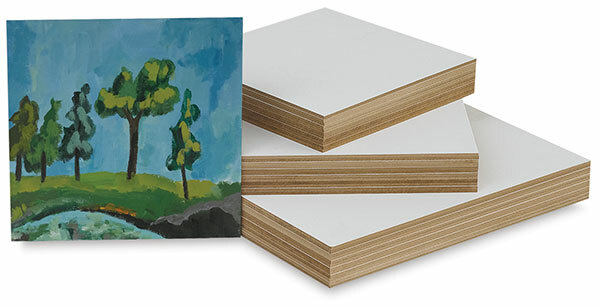 Give your students all the advantages of painting on a prepared wood panel, minus the stretching, sagging, and priming associated with canvas panels. They’ll experience better brush control, superior paint application, and brighter, more intense paint colors. Pre-primed to create a fine-weave linen texture, these 1/8" thick, non-warping panels require less paint to cover, making them more affordable, too. Created specifically for the classroom, Edu-Painting Panels come in six sizes, in economical 12-panel class packs.